Portland Meet Portland works collaboratively to build cross-cultural communities that not only survive, but thrive and celebrate together. We do this one person at a time. Our focus is on two-way experiential opportunities for immigrants, refugee, and people from the dominant culture. This emphasis on addressing the long-term issues of desegregation across cultural lines naturally means we find ourselves working with the most isolated individuals who face the highest barriers to inclusion. Instead of only seeking to serve immigrants and refugees, we seek friendship and mentorship. Instead of a transaction, we seek to build understanding and trust. Immigrants and refugees are our neighbors, classmates, and employers. We worship with them, eat their food, benefit from their skills and ideas. They are us and we are them. That is why we are not only interested in needs but in the strengths that immigrants and refugees bring to our collective community. We want to create space for the talents and gifts we all have have to offer--immigrants, refugees, and people from the dominant culture alike. So, whether it's helping an Iraqi artist sell his art, bringing together community members for intimate dialogue, helping a third culture youth find their voice and fulfill their potential, working with organizations on institutional and culture change, or accompanying older generations of immigrants and refugees to reduce barriers to integration and gain citizenship, Portland Meet Portland offers new definitions of belonging. Your gift is essential to helping us create dignity through belonging. 'Small is Beautiful' is what guides this work. We rely on individual contributions and highly value this form of community support. 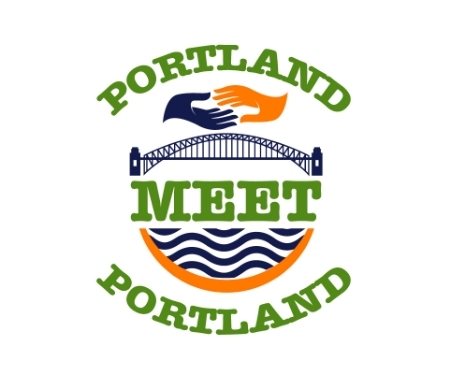 It is what sustains Portland Meet Portland. Please make a contribution today and spread the word.